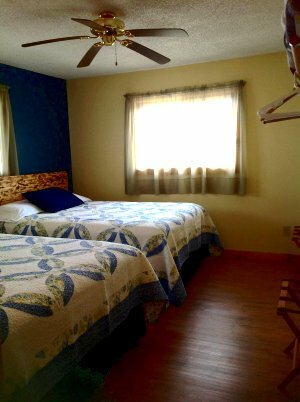 WELCOME to our Lakeside Apartment which has recently been fully remodeled and updated with new floring , paint, total new kitchen redo, appliances, beds, bedding and decor. This apartment has the best view of anyplace in the entire camp. 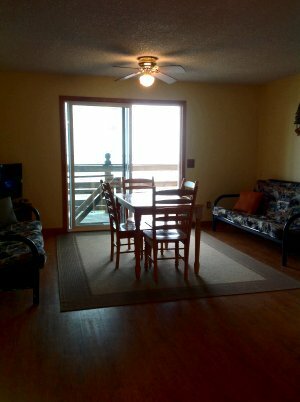 You have incredible views of sunrises, easy listening and the calls of the loons. 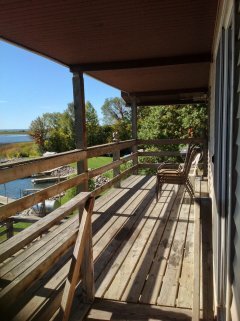 You have a large deck with a grill located only a stone's throw from the lake and an incredible view that reaches from Waboose to Five Mile. 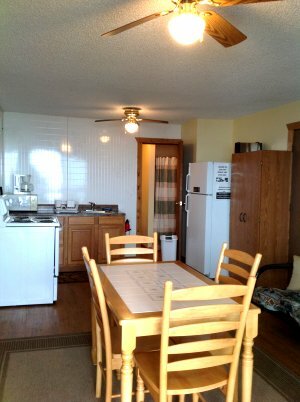 This apartment has an airy feel with its open concept floor plan and contains 2 queen sized beds, 2 twins and 2 futons. Don't forget the added bonus of WIFI and a new 32" HDTV with a large satellite package all under your control. Important items to bring: dishtowels, dishrag, dish soap, bath towels, washcloths, and shampoo/conditioner, toiletries, body soap and a fan if desired. 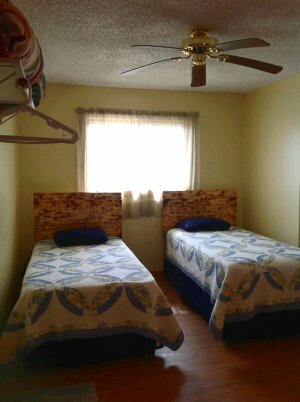 NOTE: There is the option to rent both apartments and open the door that divides the two apartments for one large apartment with 2 kitchens, 2 living rooms, 2 bathrooms and 4 bedrooms.